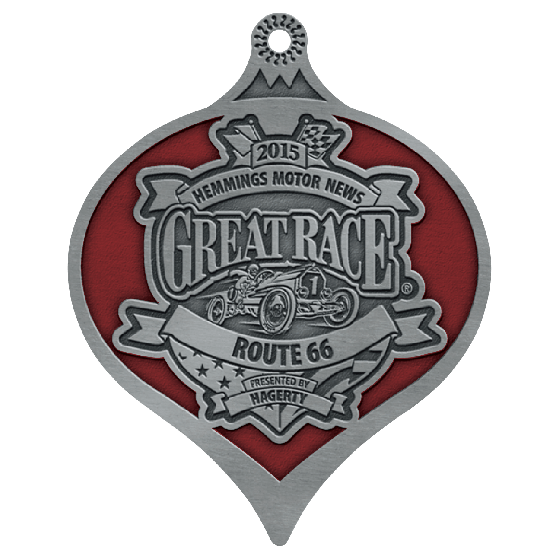 Introducing the Great Race Christmas Collectors Ornament! 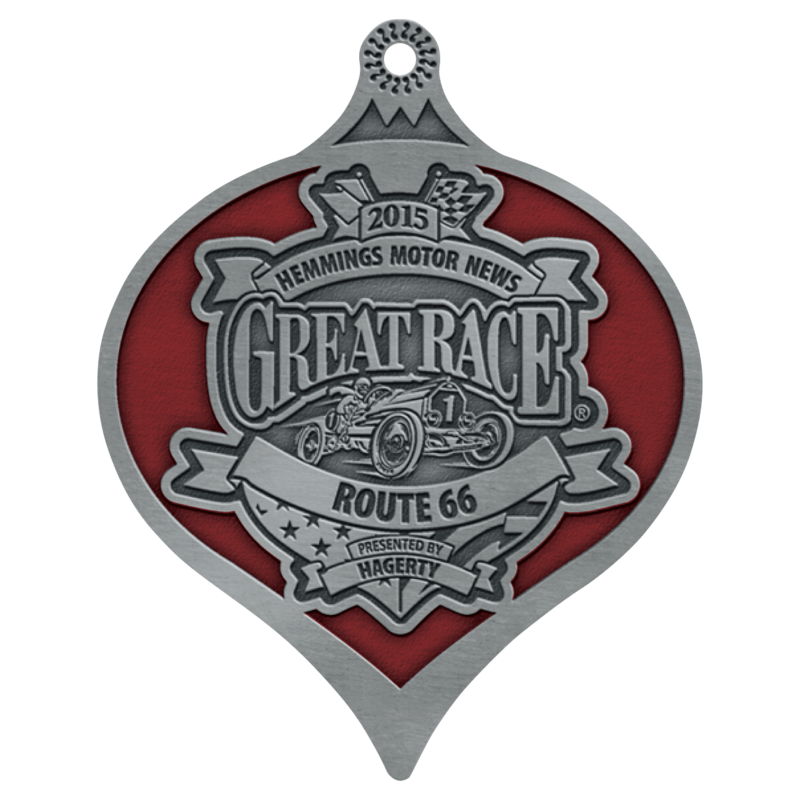 This ornament will make the perfect gift for your driver or navigator or any fan of the Great Race. The Great Race was founded in 1983 and has become the premier rally event for classic and collector cars. The 2015 event will tackle the world renowned Route 66 across the western United States. Desert, mountains and some of the most famous roadside attractions in the world will be encountered along the way to finishing on the beautiful coast of California.